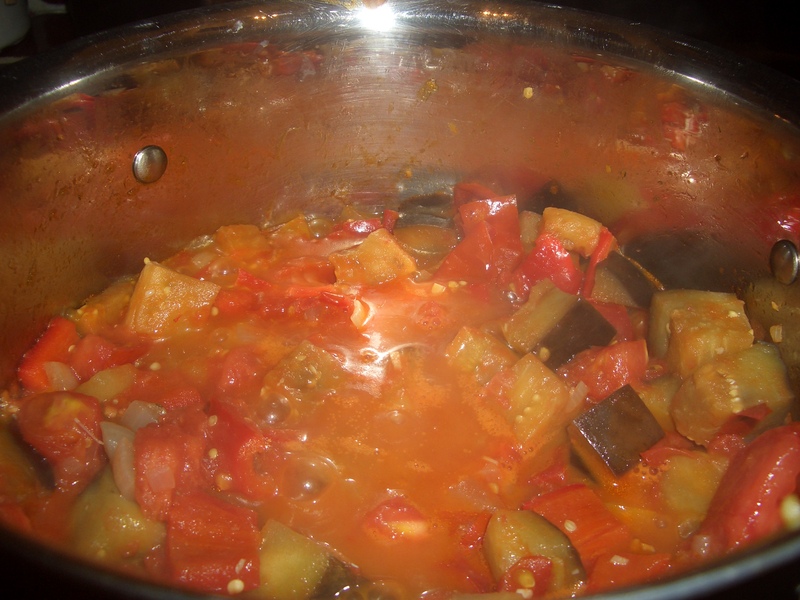 I was going to devote this post to explaining my absence of posting last week – but – it’s TOMATO SEASON and I just made the most fabulous Ratatouille I ever made or tasted. What made it so special were the amazing, home grown, organic tomatoes my friend Irwin grew in his garden in The Hamptons. This recipe couldn’t wait until next week or the week after because now is when you can get fabulous local tomatoes too. 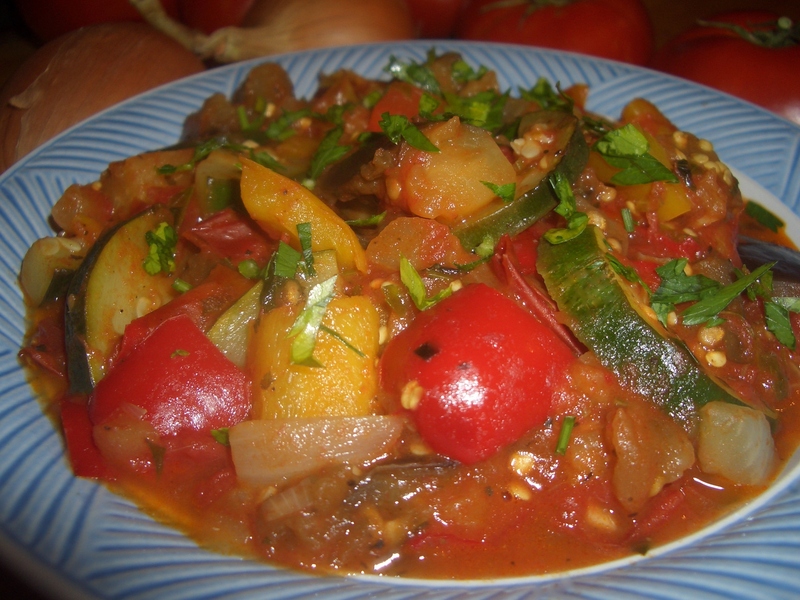 But back to Ratatouille. 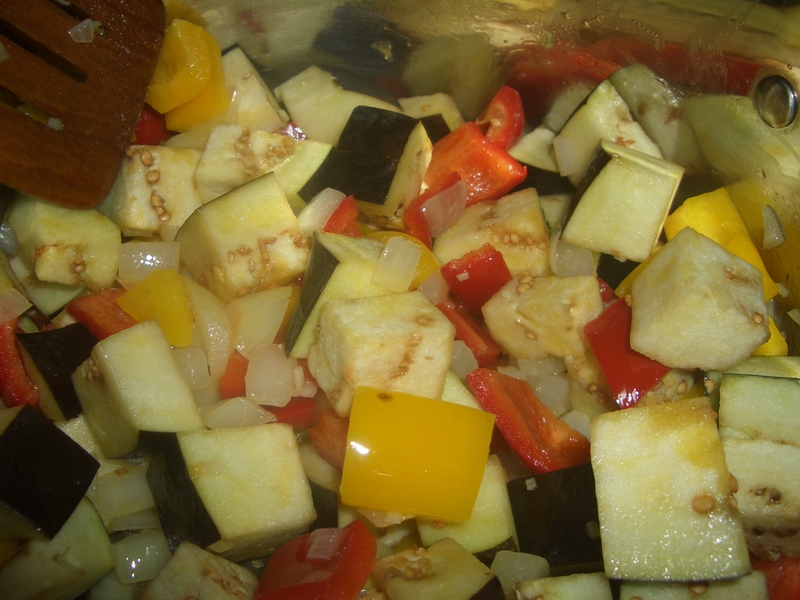 I usually put a little vermouth or wine in my recipe and, if necessary, some sugar and even tomato paste (that’s when the tomatoes are not perfection), but just to give you a hint about what I’ve been so busy doing – I’ve been on the Whole30 – a very strict paleo routine. This plan eliminates every speck of sugar and alcohol so when I sat down to write this version (there are others in one or two of the books I’ve written) I was worried the end result wouldn’t be as good as my usual recipes. Imagine how delighted I was when the recipe came out sheer bliss – even better was using it as a nest for my poached eggs for breakfast. 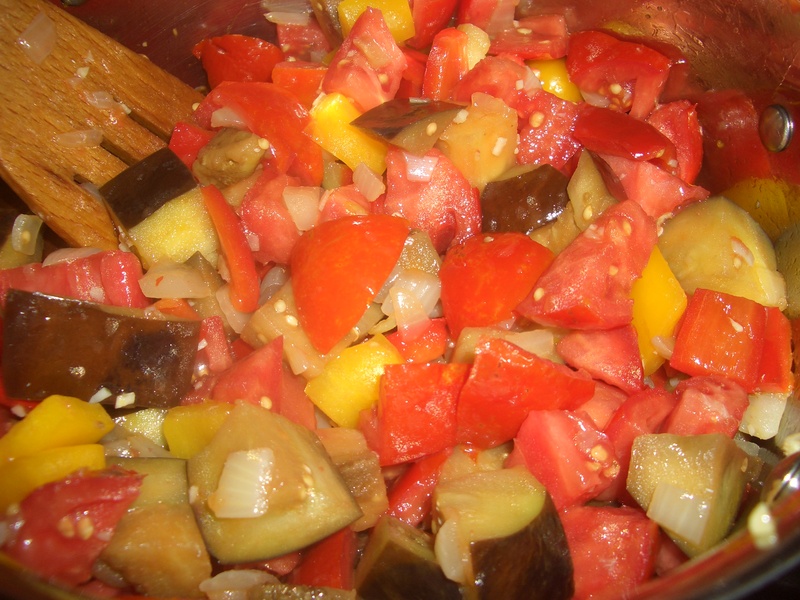 This recipe is written a little less exactly than I usually like because, once again, all the cooking times and ingredients will vary depending on how ripe and sweet your tomatoes are. Just use the photos as a guide to see what the mixture should look like at the various cooking stages. If your tomatoes are not as juicy and sweet as mine were you may have to add some tomato paste, water and/or sugar to get the right flavor and consistency. In a 4-quart pot, heat the oil over medium high heat. 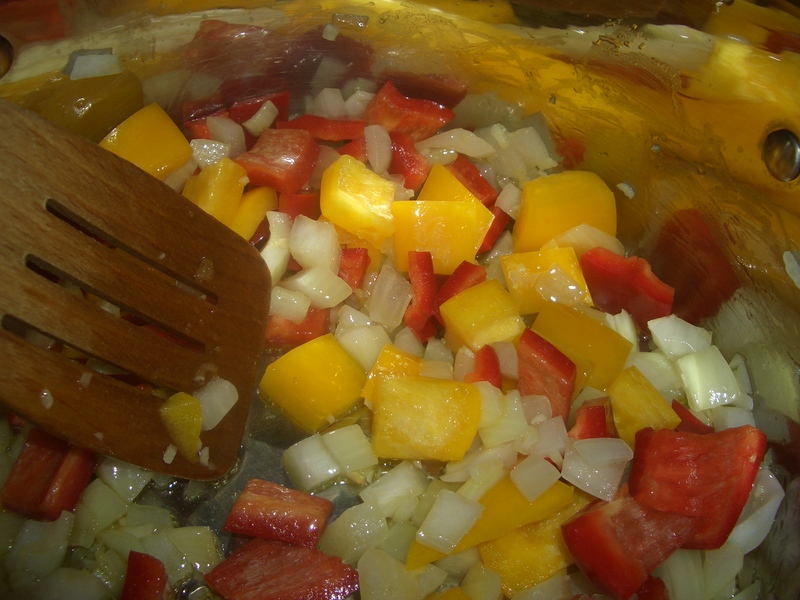 Add the peppers, onion and garlic; cook, stirring, until softened. 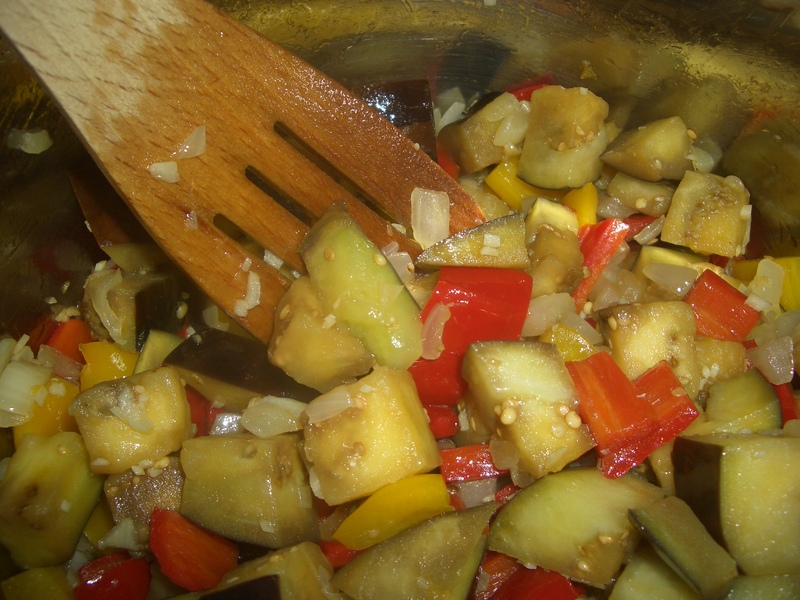 Add the eggplant; cook, stirring, until softened. Add the tomatoes, basil, thyme, and cook, uncovered, stirring occasionally, until the tomatoes have given off their juices. 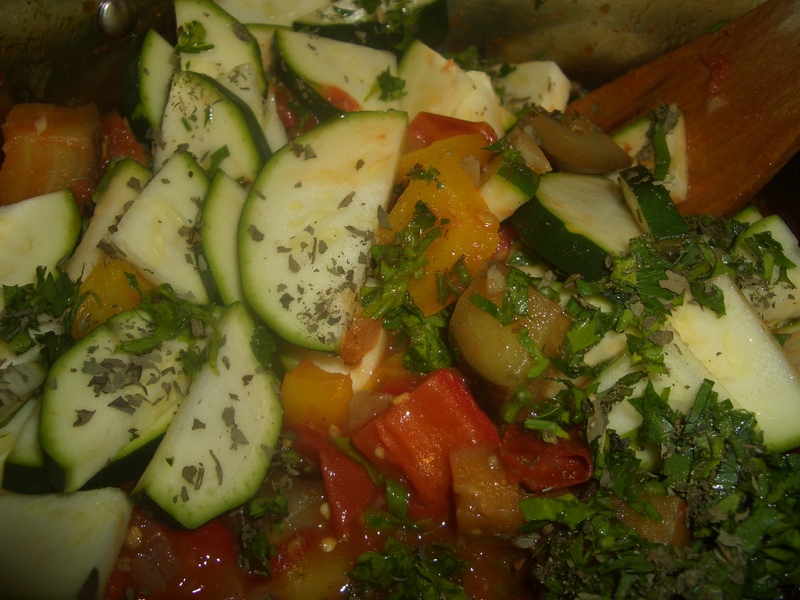 Add the zucchini and/or yellow squash and herbs; cook, uncovered, stirring until softened. Stir in the salt and pepper to taste. Place in serving bowl and sprinkle with chopped parsley to garnish. 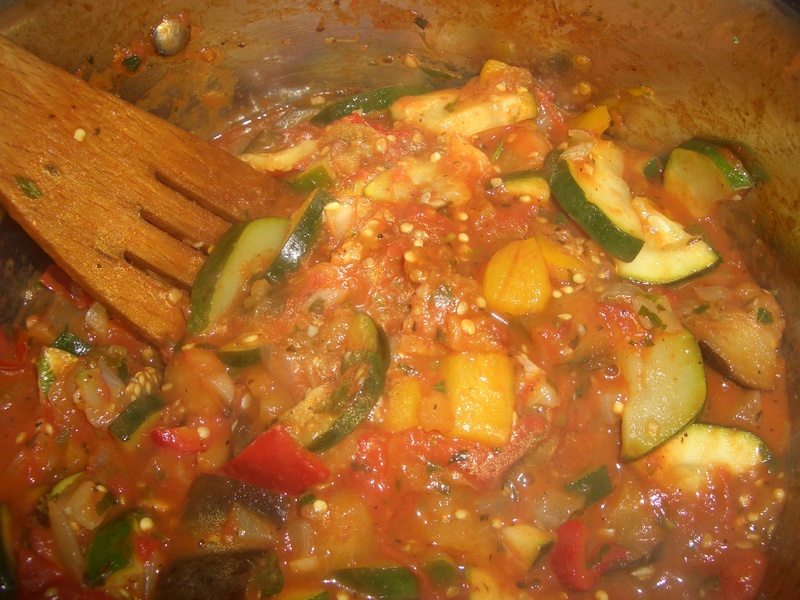 Just made my inaugural batch of ratatouille and it’s fabulous. Having tasted Carol’s, the primary difference is that I made my chunks too big. The flavor is spot on, but for a smoother texture, keep your dice small, as I will do in my next batch. 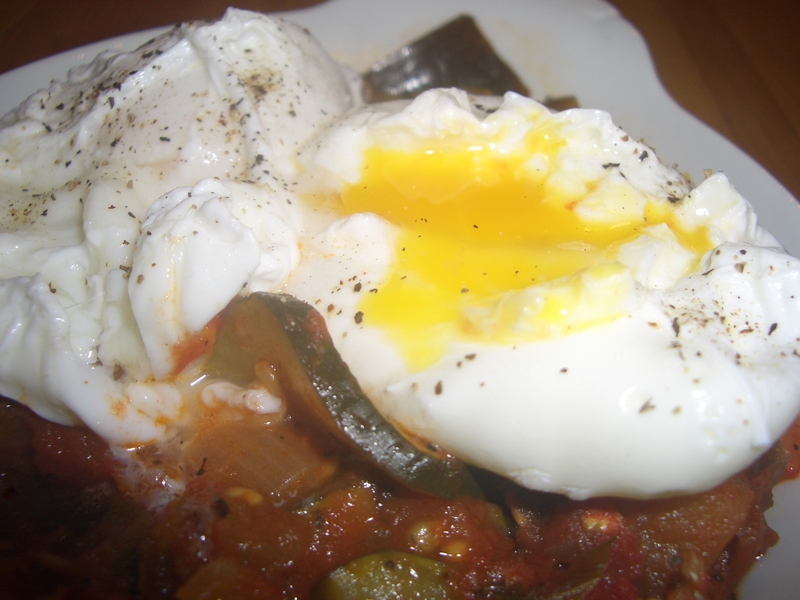 Love that it works hot or cold, and really like Carol’s suggestion of using it as the base for poached eggs. I know what’s for breakfast tomorrow!